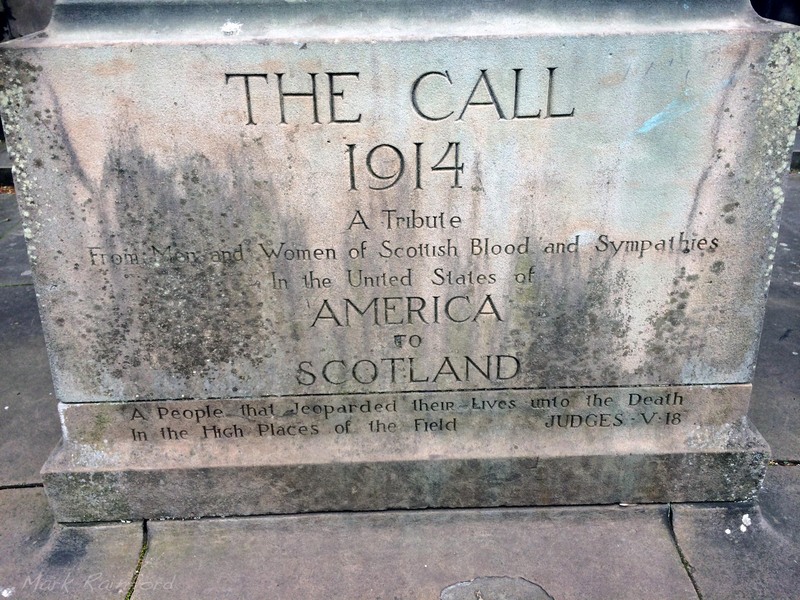 This memorial was initiated by the Scottish-American was memorial committee. 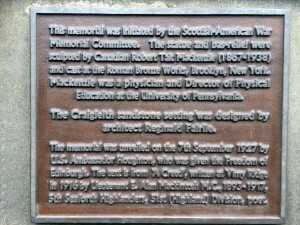 The statue and bas-relief were sculpted by Canadian Robert Tait Mackenzie (1867-1938) and cast at the ROman Bronxe works, Brooklyn, New York. Mackenzie was a physician and director of physical Education and the University of Pennsylvania. 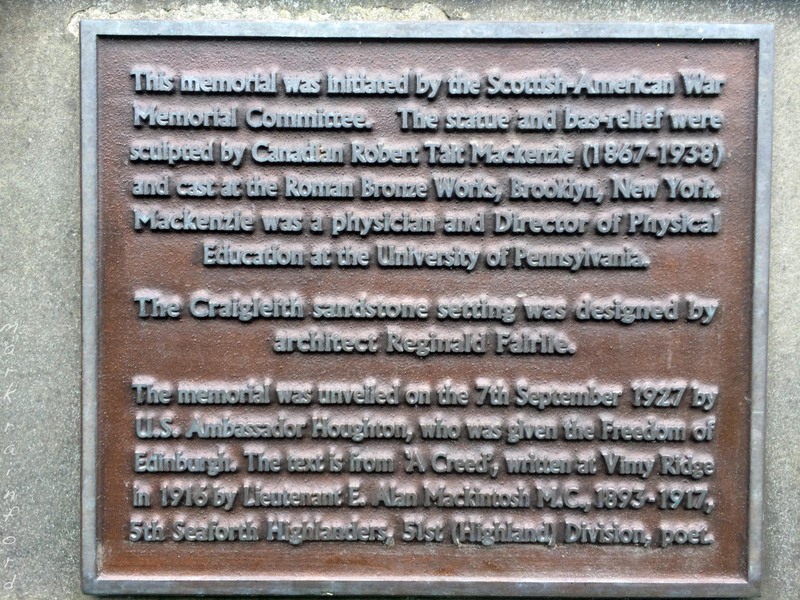 The Craigleith sandstone setting was designed by architect Reginald Fairlie. 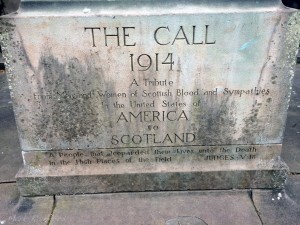 The Memorial was unveiled on the 7th September 1927 by U.S. Ambassador Houghton, who was given the Freedom of Edinburgh. 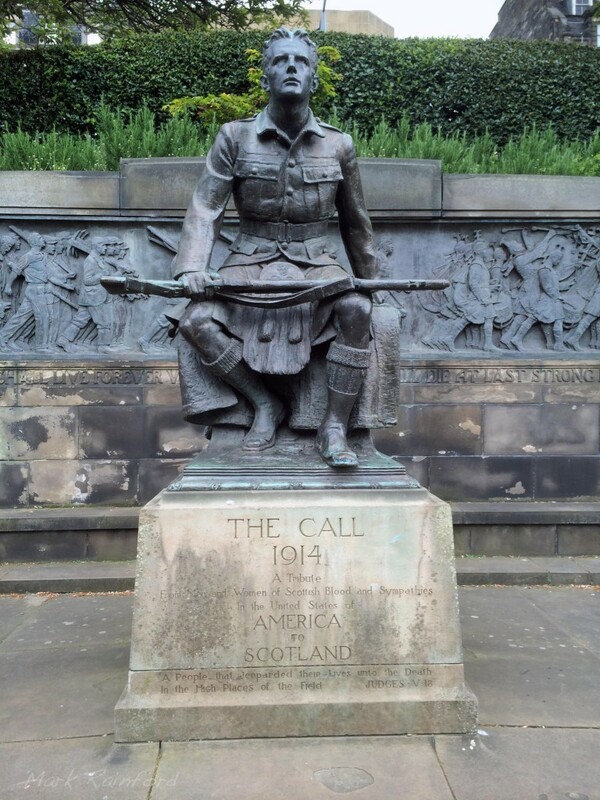 The text from ‘A Creed’, written at Vimy Ridge in 1916 by Lieutenant E. Alan Mackintosh M.C., 1893-1917, 5th Seaforth Highlanders. 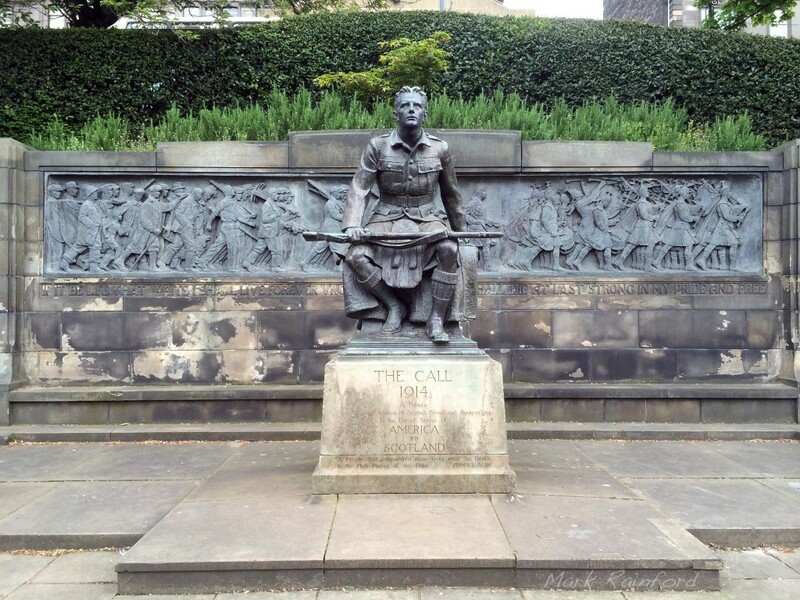 51st (Highland) Division, Poet.